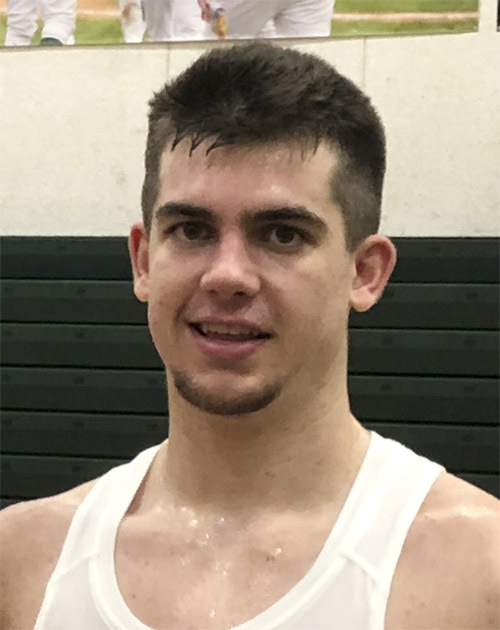 We sat down with Joseph Girard III on Sunday and talked about how the Glens Falls star is deciding where to take his basketball talents next year. Negatives? It’s not really a negative, but it’s an up-and-coming program. They’re not really national yet but with the two guards they have had the last two years, Ky Bowman and Jerome Robinson, they have brought them national attention and to a new level in the ACC and they are both going to be lottery picks in the NBA. [Robinson was a lottery pick in 2018, picked 13th overall by the Los Angeles Clippers.] I guess BC is not a big name, but they are going to be pretty soon and they are coming up right now. Positives? The positives there are, you go in knowing you are going to win. That’s the ultimate goal in basketball, and you have a chance at the Final Four or a national championship every single year. You’re going to have five-star guys around you and have to rely on each other. Negatives? I guess the negative would be you know you’re going to be young every year. You’re going to have new teammates every year because a guy like me, I’m not going to be a one-and-done player, so every single year I would have to rally around new players. But that’s kind of fun for me. I’ve done that here at Glens Falls. I’ve tried to be a leader ever since I was young. I’ve been a captain on the basketball team since freshman year, and a captain on the football team since sophomore year. I’ve had great people around me, but at the same time I’ve already been a captain and a leader, and that’s something I would have to do at that school as well. Q: So that’s not daunting to you? JG3: No. It’s all five-star players. Everybody wants the ball. Everybody wants to go to the NBA. Being a quarterback, you’ve got to rally everyone else around you. It’s not really a negative, but you’re figuring out how to play with new players every year. Positives? Just the system in general. It’s a great fit. They have scoring lead guards who are just like me. You’re a point guard but at the same time you’ve got to go score. The offensive system that they run is something I fit into. Negatives? The negative there would be who else is around me, just because, there, they are going to have guys who are just like me. It’s not too much of a negative. You’ve just got to work hard for your spot. But they have two or three Joseph Girards already, so you just have to go in there and work hard and make sure you can find your spot. Q: How about your relationship with Coach [John] Beilein and your dad’s relationship with Coach Beilein? Does that play into it at all? JG3: I think we feel more comfortable with him probably than anyone else, just because of family relations. But at the same time, you’ve got to figure out what is best for you, not what is best for your dad…The relationship is always going to be there. It’s going to come down to see what’s best. Positives? Notre Dame is the same positive as Michigan. Coach [Mike] Brey is a great coach who has a great system for scoring lead guards. A player like Matt Farrell thrived there. TJ Gibbs is a scoring lead guard there now. You’ve got to be tough, you’ve got to be able to shoot it, you’ve got to be able to score and lead the team around you. Basically it’s the same thing as Michigan. They are going to have a lot of guys who are just like you and play the same exact way in the same exact kind of system, so it’s just going to be going in there and seeing where you fit and working hard just to get a spot. Q: Would negatives for [Michigan and Notre Dame] be distance from Glens Falls? JG3: I know my family would find a way to get there, and those two are nationally known programs that are on TV all the time. Q: So there aren’t many negatives for either of them. Positives? Same thing as BC. Coach [Pat] Chambers has been on me since freshman year. He’s done a great job recruiting me, and they are an up-and-coming program. Last year they won the NIT. They’ve got great guys who are in there. They are really tough. It’s kind of what I’ve had here in Glens Falls. They’ve got great coaches who are really tough and get you to play hard, and that’s exactly what Coach Chambers does. He’s done a good job of letting me know how important I am to them. And it’s not really a negative but they are up and coming in the Big 10 and they will be one of the top teams in the Big 10 this year. Joe Girard, Joseph’s father, added: And the thing with BC and Penn State is they don’t have a JG3. Positives? : I guess the biggest thing…is they are the hometown school. There would be a lot of buzz that goes around it. Another positive is they have Gerry McNamara on the staff, who was a player who is just like me, did the exact same stuff that I do, and he did it at that level. He can definitely teach me how to do it. And they’ve had players like Jonny Flynn who are scoring lead guards. They have a great system that Coach [Jim] Boeheim runs that gets shooters the ball and gets them open, and makes sure the players who make big shots get the shots. Negatives? There’s not really much of a negative there, I guess it’s the same thing as Michigan and Notre Dame — they have people like me already, they’ve got people there who are going to be like me. But if you work hard enough, and get in the gym with Coach Boeheim and Coach McNamara, you’ll find a spot. You’ve just got to make your way. Q: What does Coach McNamara tell you? JG3: His one line is, when are you going to say ‘I do’? That’s one thing that comes up every single time. He’s kind of like a kid. He gets really into the game. He knows how to interact with kids. And he’s tough. He’s one of those guys who is going to get intense with you and make sure you’re staying on top of everything. He calls himself killer. When we were out there on our visit, he was the one pushing everybody in individual workouts. Basically he says why not come do it in front of 30,000 fans? The one thing they’ve been lacking is three-pointers. More of Gordon Woodworth’s interview this past Sunday with Joseph Girard III. Q: Have you decided on how you are going to reveal your college choice? JG3: I’ve had a few people call me and ask if they could do a video on me. I’ve had a few designers on Instagram and Twitter ask to make something for me, or I could announce at the high school, or the Civic Center has come up. I haven’t decided on one yet but I’ve got a few options that me and my family are trying to figure out. They would all work. Q: Are you thinking a public event? JG3: That’s one of the options because I’ve played in front of all of these people around here and I know they would like to come see where I’m going. At the same time, I’m kind of national now as well, so if I put it up on social media, those guys will see it and everybody else will see it. I’ve just got to figure it out. Q: What’s the time line? When are you going to announce? JG3: Sometime before November. I’ll sign in November [Nov. 14 is the national letter-of-intent day], so some time before that I’ll make my decision. JG3: Just saying no. There are six great schools, and I’m going to have to say no to five of them. It’s not easy saying no to, just for example, Coach K [Duke’s Mike Krzyzewski] or Coach Beilein or any of the coaches, with the relationships we have had and how close I have gotten to them over the year. I don’t really want to say no to any of them. If I could, I’d wear all six jerseys, but they are used to it, and they aren’t going to be thinking about me for too long. They’ll be on to the next player. Q: So tell me about the process of picking a school? JG3: Pretty much it comes down to fit, I guess. You’ve got to fit in with your teammates, you’ve got to fit in with the coaches, and then academically and the people who are around you who aren’t athletes. You want to be able to fit in with other kids, like any other school…Pretty much it comes down to being able to fit in and where I feel most comfortable. Q: We talked about this before, but part of it comes down to what you want, right? Do you want to play right away, do you want to play in three Final Fours, do you want to win a national championship, or do you want to be on a rising team that you can help. What is your thought process there? JG3: At some schools I could play right away, or I could go to another school and be like a role player and win and still be seen that way. They are both positives. In one way, you’re the guy the whole time, and in the other way, you’re going to win a lot…I’m still trying to figure out which one I would rather do. Q: How much does it come into play that your family and friends can come see you play? JG3: It’s a factor because I’ve grown up playing in front of them…At the same time, I’ve got to do what is best for me. That’s definitely a factor, but I’m sure if I was farther away, they’d find a way to do it.